Our journey into other worlds continues on this episode of Open Stacks in preparation for the after and before-lives of great books, with lions, bears, and very hungry caterpillars (oh my!) that makeup and reveal the environmental wisdom of children's literature in scientist and poet Liam Heneghan's Beasts at Bedtime. 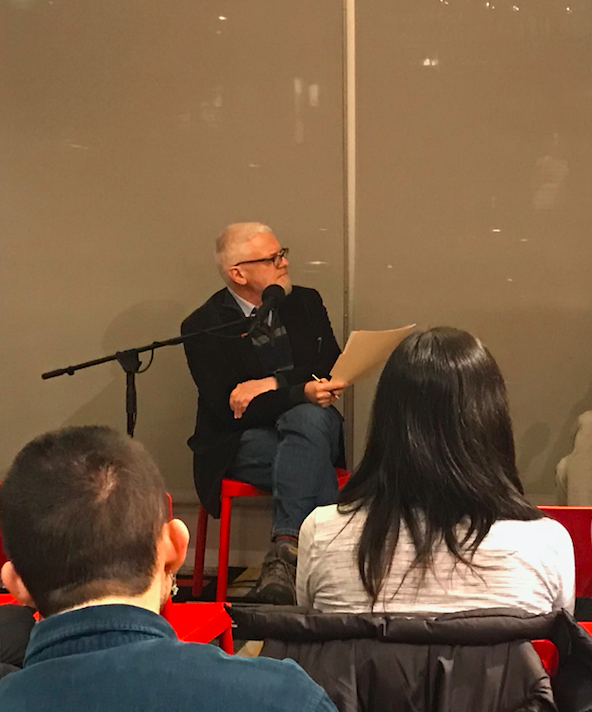 Then tune into the great indoors of the neighborhood bookstore, with educator and activist Bill Ayers and Co-op Booksellers on Shaun Bythell's The Diary of a Bookseller. Liam Heneghan at the Co-op on November 6, 2018. Heneghan's Beasts at Bedtime draws inspiration from children's literature, Irish folkore, and environmental philosophy. 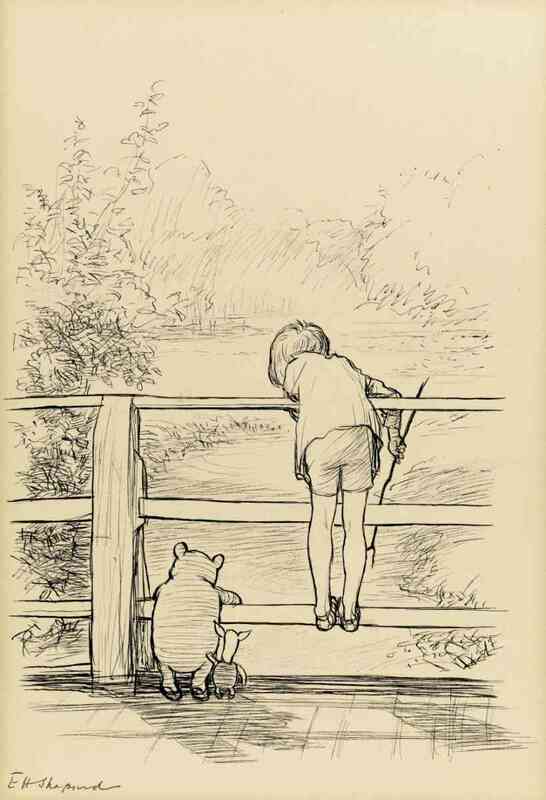 Above, one of E.H. Shepherd's original illustrations based on A.A Milne's Winnie the Pooh from 1928. In this episode, Heneghan discusses with interlocutor, Chris Green, why the story of the Hundred Acre Wood is "the ultimate pastoral classic." 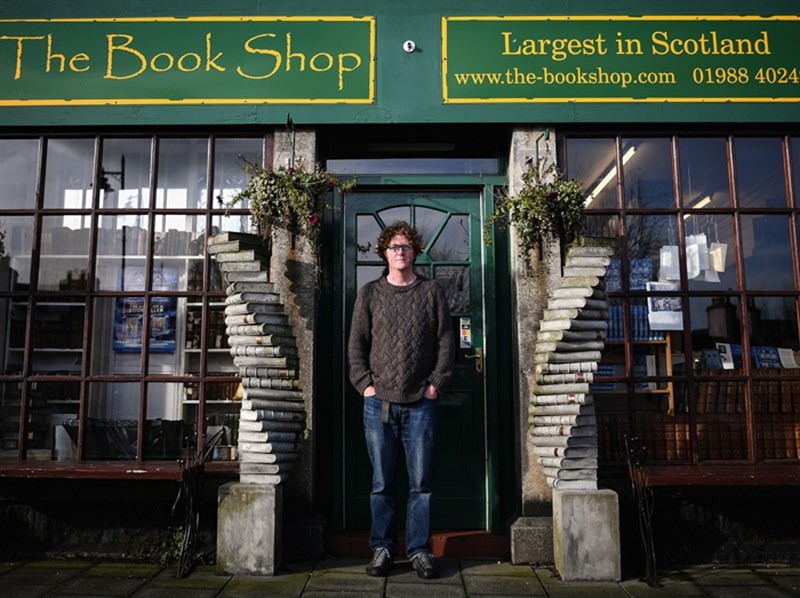 Above, author of Diary of a Bookseller, Shaun Bythell in front of his Book Shop in Wigtown, Scotland (Photo: Getty Images). 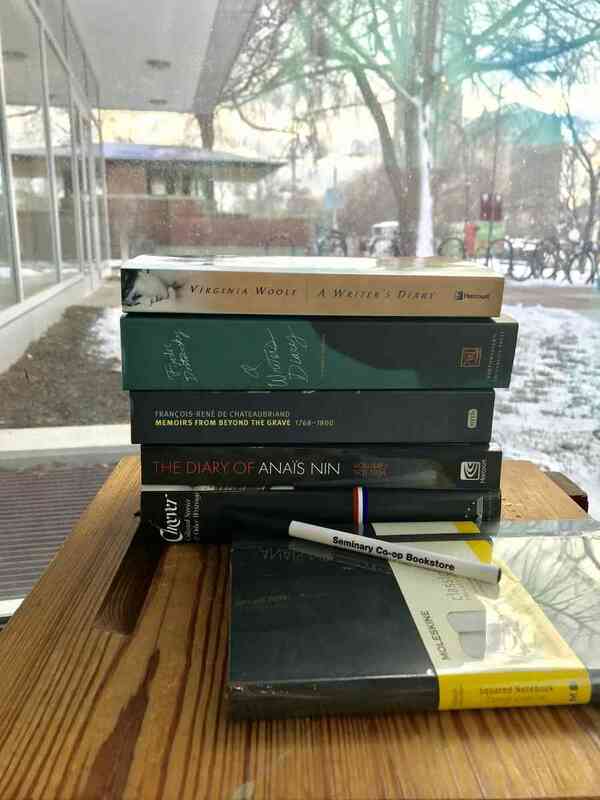 Co-op booksellers, Fred, Erin, and Bryce find solace in Bythell's diary entries––full of interactions with interesting customers and reflections on being an independent bookseller in the Amazon-era. "I wrote it as an aide memoir because my memory is so diabolical. It was never meant to be funny, but I suppose the incidents that I chose to record at the end of each day are those which – unconsciously – stood out for me, for whatever reason. Probably because they stood out, there was something innately humorous about them, but that was never the intention when I set out to write, nor in the subsequent drafts. I think there’s an element of laughter that is a consequence of being shocked, and a lot of my customers behave in a shocking way." -Shaun Bythell in an interview. Find more diary entries in the Co-op's Lives and Letters nook. And if booksellers Shaun and Fred have inspired you to keep a journal, you can find those at the Co-op, too. 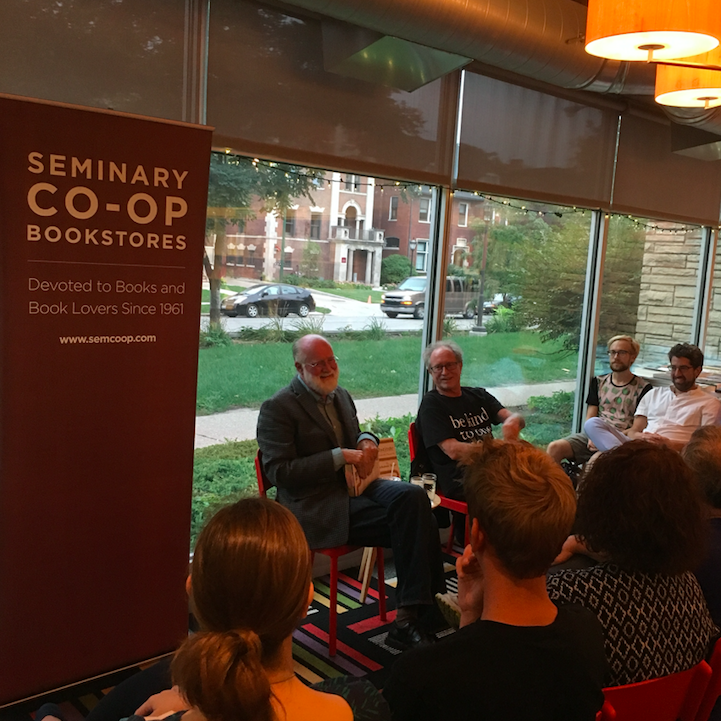 Bill Ayers (right) at the Co-op with Nicholson Baker (left) on September 7, 2016, discussing Baker's Substitute: Going to School With a Thousand Kids. In the conversation, Baker called the Co-op "a peaceable kingdom of books." Stay tuned to hear Bill discuss his various conversations with the likes of Roxanne Dunbar-Ortiz, David Stovall, Howard Waitzkin, David Ansell, and more. Learn more about Fresh Ayers and see a complete list of authors featured in the series and books Bill raves about. As Bill says, buy these or any book from our stores and he will sign it! Below, you can find the last book that changed Bill's life, Overstory by Richard Powers, along with the other titles mentioned in the show. What was the last book that changed your life? Send us an email with any other comments or questions at podcast@semcoop.com. Still curious? Discover what the late poet Mark Strand called "the greatest bookstore in America" no matter where you are by subscribing to our weekly email newsletter and find each week's Front Table at semcoop.com/blog.